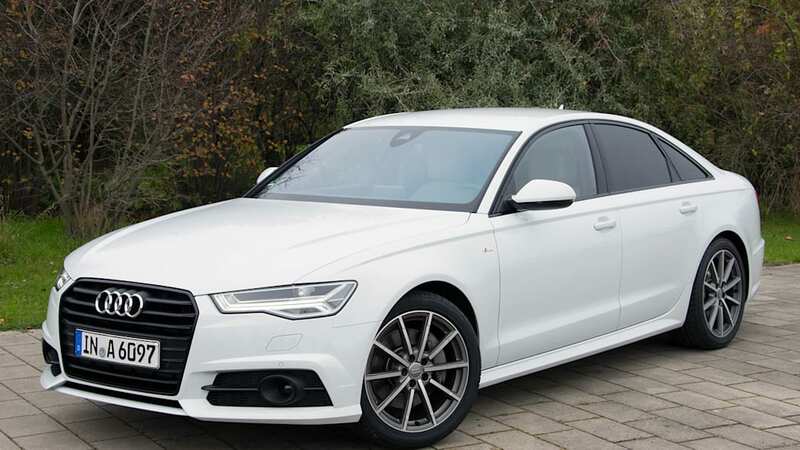 Autoblog rating for the Audi A6 is not available. Please check back later. The sleek sedan cuts through the wind effortlessly up until about 125 mph, after which the speedometer needle slows noticeably as the outside world continues to blur. By 145 mph, there's no longer a discernible feeling of acceleration, yet the bright-orange speedometer needle continues its climb. Finally, the speedometer nearly reaches 160 before we are forced to firmly brake and return to saner speeds because of traffic looming ahead. Automakers routinely host us in Europe and elsewhere to sample their wares in a much less restrictive driving environment. Which explains why we find ourselves standing in Dresden, Germany, a stunningly beautiful 800-year-old city along the Elbe River, overlooking Audi's latest executive express. The overall look is sleek, well-proportioned and muscular from all angles. 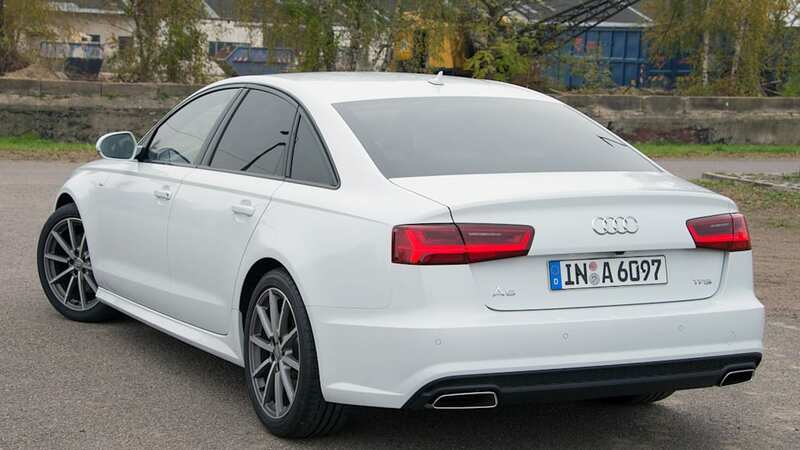 The fourth-generation Audi A6 arrived in showrooms for the 2012 model year, so it's still an automotive juvenile of sorts. 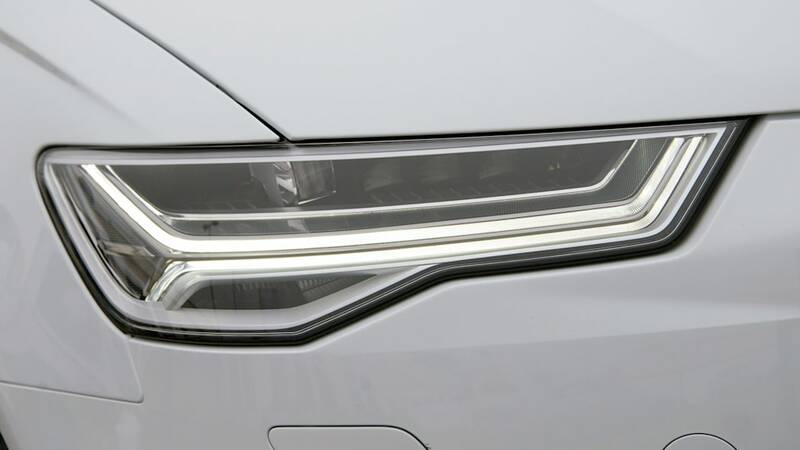 Nevertheless, in order to keep up with the midsize luxury segment's heady pace, the German automaker has smartly invested in a freshened appearance along with new technology and engine upgrades to boost showroom traffic and keep the model competitive. 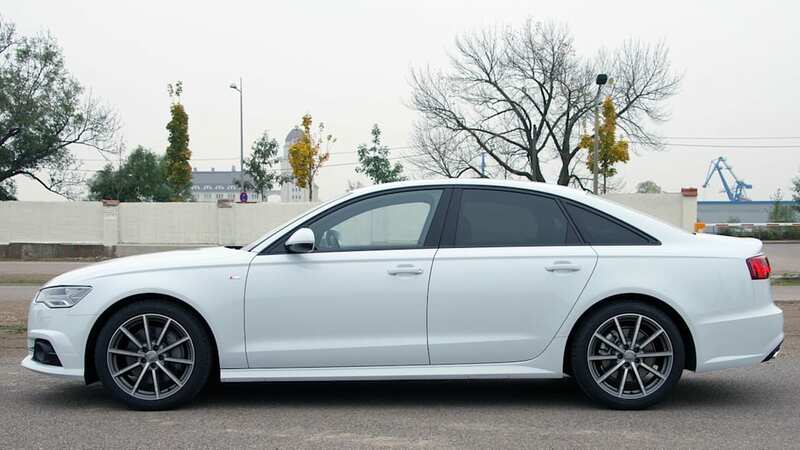 With that in mind, the 2016 A6 arrives next spring sporting a slew of soft cosmetic changes front and rear – its aluminum body panels are unchanged. Up front, these alterations include a redesigned signature single-frame grille and a resculpted bumper with new air intakes and headlights – the latter of which are styled more aggressively than they were on last year's model. 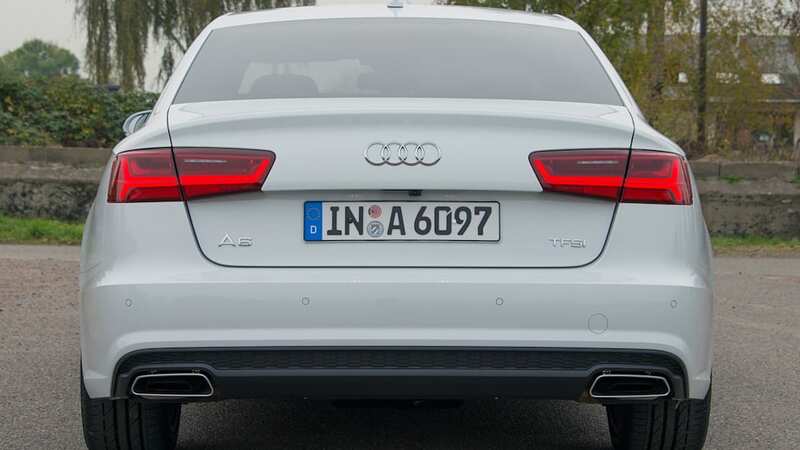 The A6's side sills and rear bumper have also gone under the knife, and there are redesigned LED taillamps (with sequential blinkers, similar to those found on the Ford Mustang) and chrome trapezoidal exhaust tips replacing the outgoing oval units. The overall look is sleek (0.26 coefficient of drag), well-proportioned and muscular from all angles. 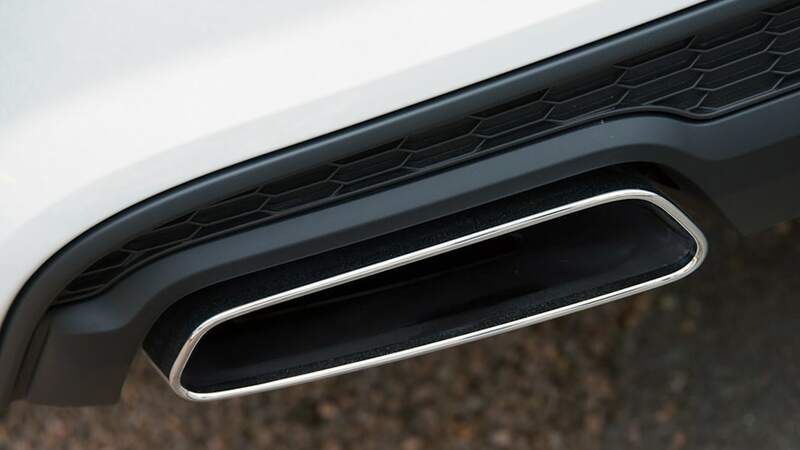 This midsize class used to be populated with naturally aspirated six- and eight-cylinder offerings, but forced induction has allowed for reduced displacement while simultaneously improving efficiency and reducing emissions. 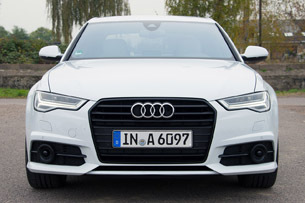 That said, Audi will still offer three engines on its standard A6 models: this 2.0-liter turbocharged four-cylinder with 252 horsepower; a 3.0-liter supercharged six-cylinder with 333 hp; and a 3.0-liter turbocharged six-cylinder diesel with 235 hp and gobs of torque. With the clouds threatening rain, we grabbed the keys to a 2.0-liter and started our pre-drive walkaround. Audi has substantially increased the output of the A6's most popular engine from 220 to 252 hp, and torque from 258 lb-ft to 273. Few things are as enjoyable as driving high-performance cars in Germany, but there are several downsides to testing so far from home. 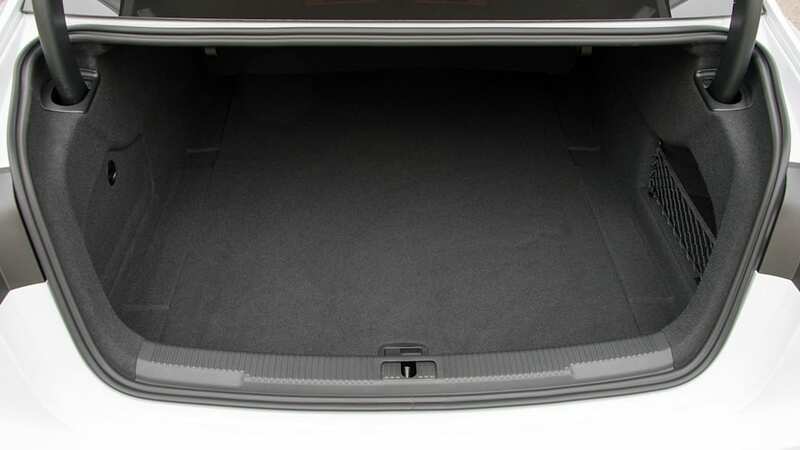 Most obvious is that we seldom have access to US-spec vehicles, as test cars are generally configured to the local market. 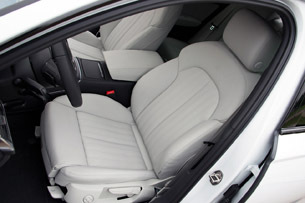 Our Ibis White test car with S-Line performance trim was at least close to what we can expect. 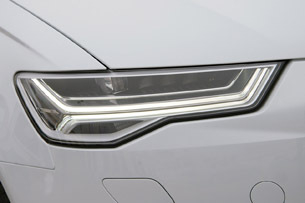 In fact, it's mechanically identical to what US buyers will see next spring, with subtle but important variations including higher-performance YR-rated summer tires (we get HR all-seasons) and exceptional Matrix LED headlights (the Feds are still keeping US drivers in the Dark Ages of lighting technology). 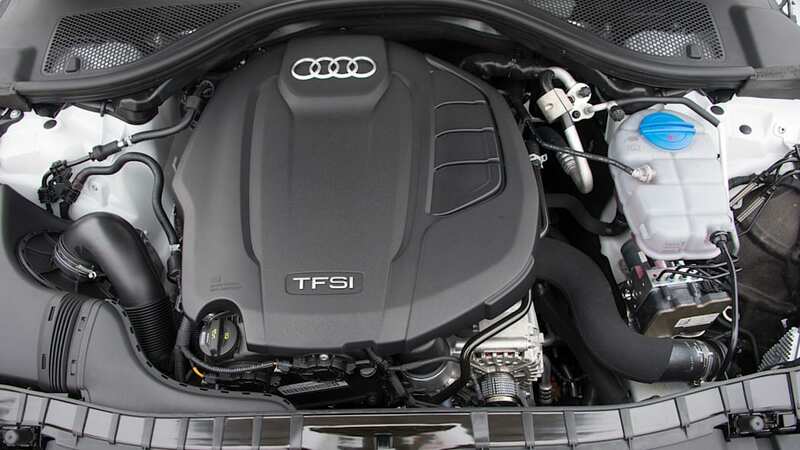 Our choice of the 2.0-liter was deliberate, as Audi has substantially increased the output of the A6's most popular engine from 220 to 252 horsepower for 2016, and torque has increased from 258 pound-feet to 273. 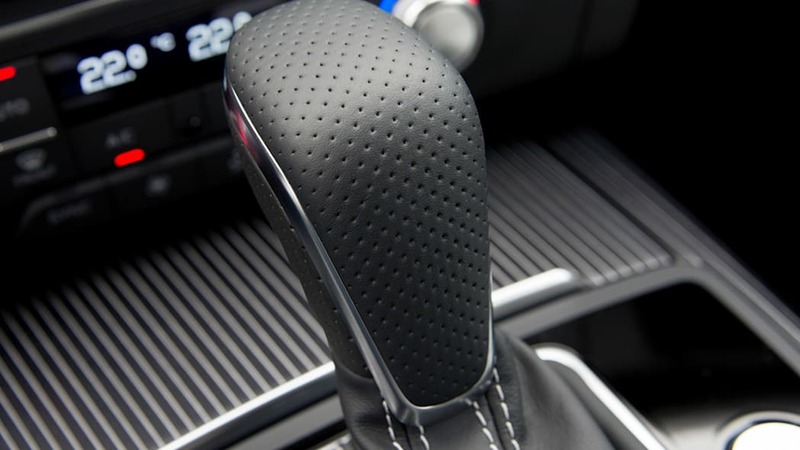 More important in terms of drivability is that the front-wheel-drive model's continuously variable transmission has been replaced by a slick seven-speed dual-clutch gearbox. 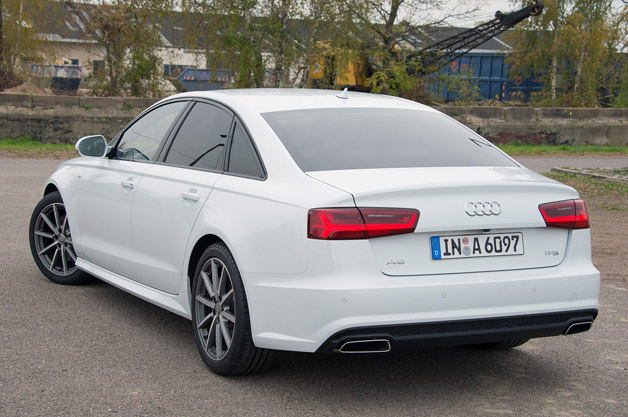 According to Audi, the 2016 A6 2.0 TFSI will accelerate from 0-60 in just 6.7 seconds. That's significantly quicker than the 7.4 seconds of today's model. 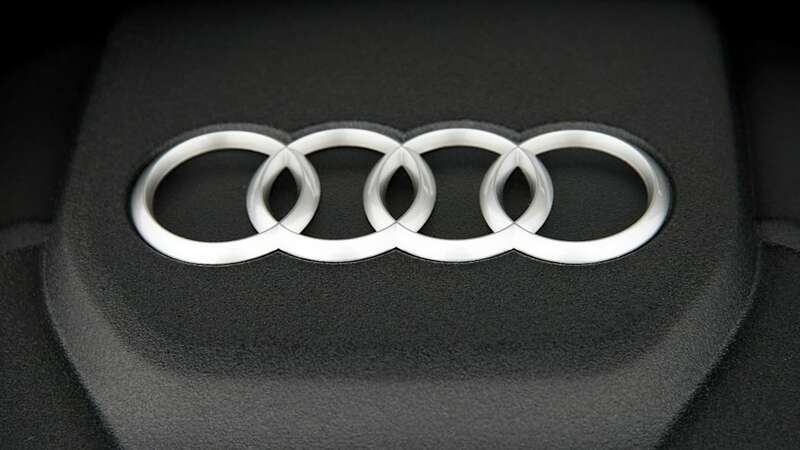 Audi promises the new models will be more efficient, too, but EPA fuel economy estimates are not yet available. 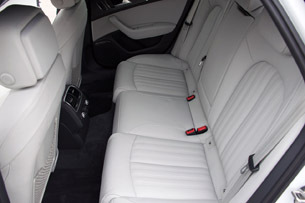 The A6's refreshed cabin remains comfortable, well-appointed and generally logical in layout. 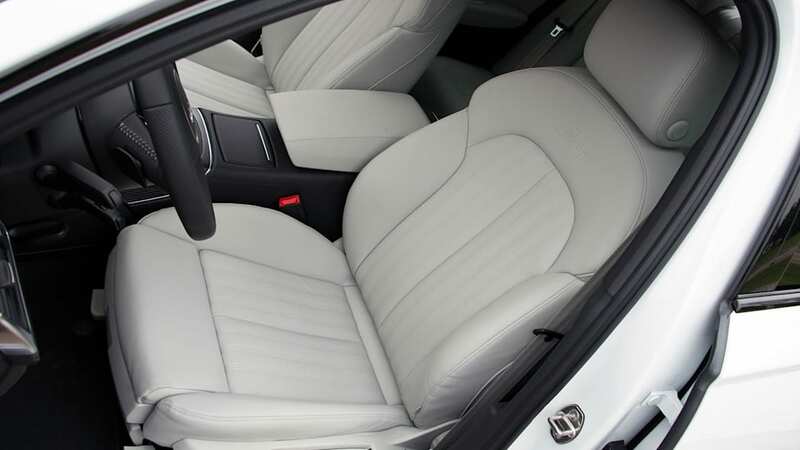 The A6's refreshed cabin remains comfortable, well appointed and generally logical in layout, and Audi's impeccable build quality is now complemented with even more variety in available upholstery and trim. 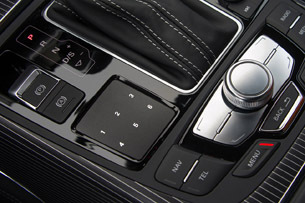 The big news inside is an updated available MMI infotainment system, which now boasts improved processing power that allows the power-retractable eight‑inch screen to refresh quickly and with fluid movement. 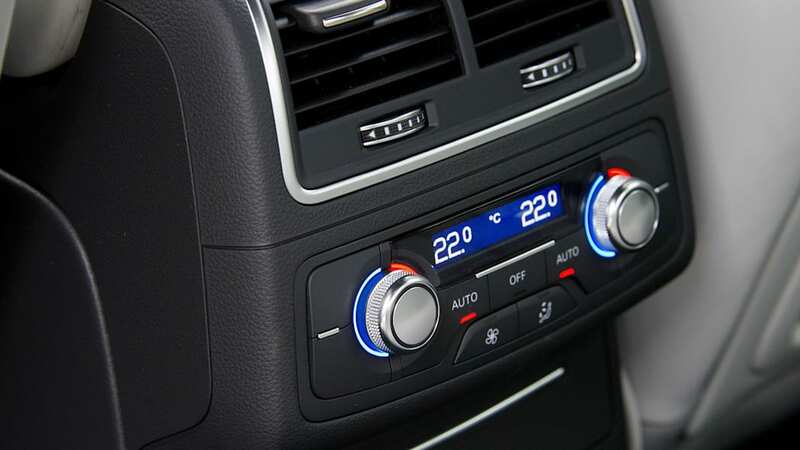 Plus, much of the system's information can be simultaneously displayed on a new, easy-to-scan color display in the instrument cluster. Depending on driver preference, the two screens can mirror each other or display unique information. 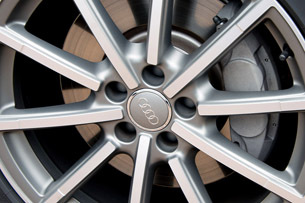 In addition, Audi will also offer 4G LTE WiFi, which works very well. 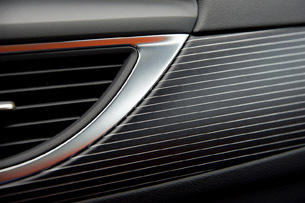 Of special note is the available aluminum and Beaufort wood trim – eye candy that combines black, dyed-through wood and aluminum strips to create a visually striking trim that nobody else seems capable of matching right now. 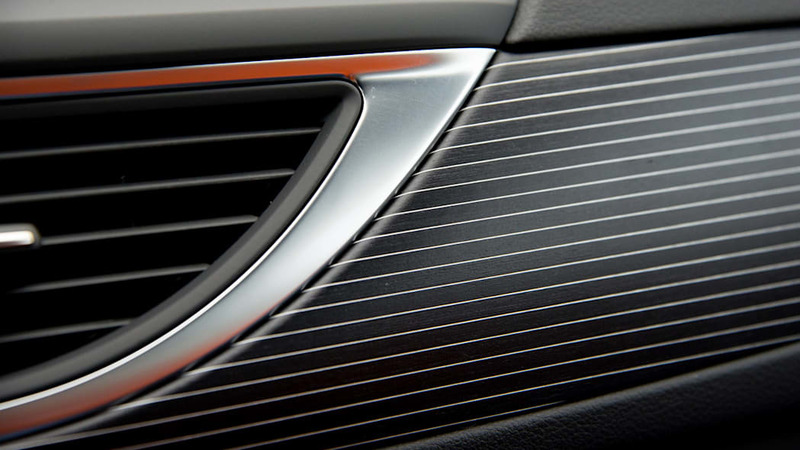 We tried to understand how Audi precisely cuts wood veneers with a thickness of just 0.65 millimeters (0.03 inch) and then permanently bonds them with thin strips of aluminum, but it left our brains aching. 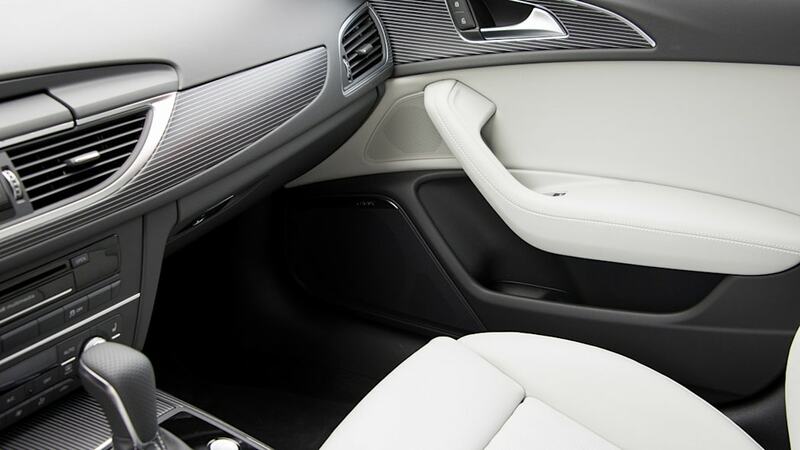 We were much better off simply enjoying the artful visual symmetry that complements the A6's interior styling. Cockpit quibbles? We've got a few. 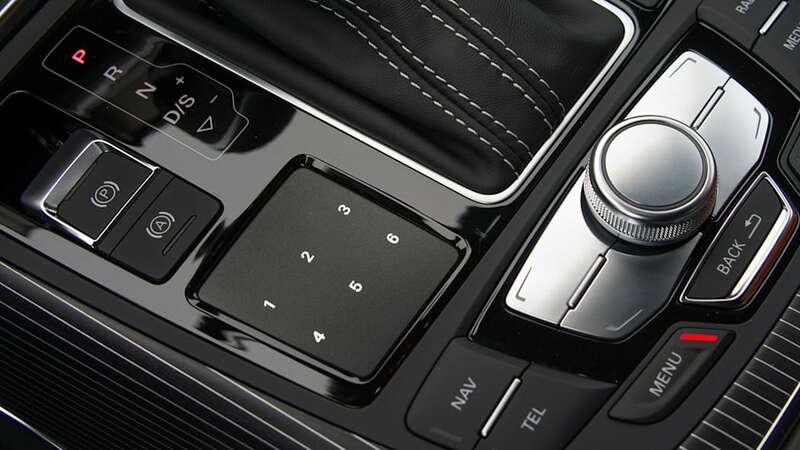 We still don't know why Audi puts the "unlock" button for the door lock switch on the bottom (when it should be on the top) and why the "start/stop" button is on the passenger side of the console's transmission lever (we would prefer it swapped with the parking brake switch). These things take a bit of getting used to. 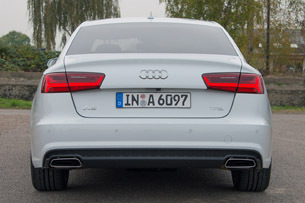 Despite its nose-heavy weight distribution, the 3,700-pound A6 drives with a nice balance that belies its FWD configuration. The 2.0-liter starts and idles with a characteristic four-banger rasp, but the sound is muted and distant from the driver's seat. 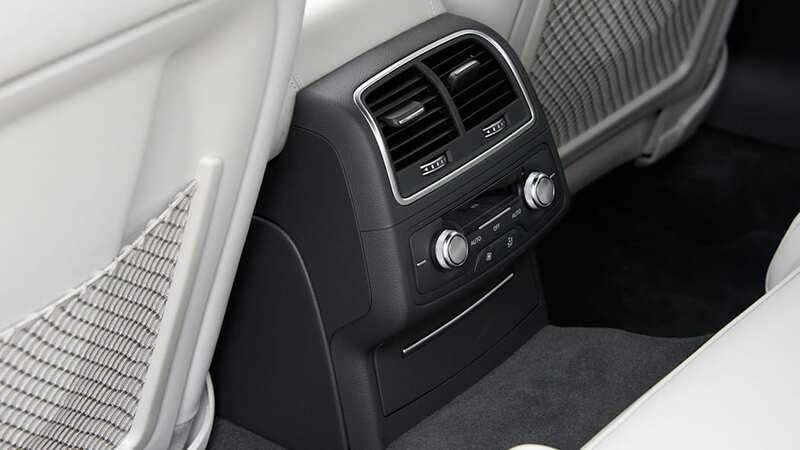 Any vibration that makes it through to the cabin is stifled when the vehicle starts moving as the engine climbs over a couple thousand rpm. 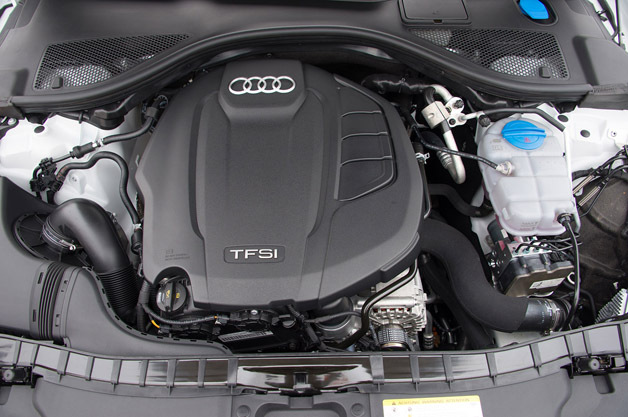 The A6 accelerates briskly when prodded, with the engine eager to pull the sedan up to speed. 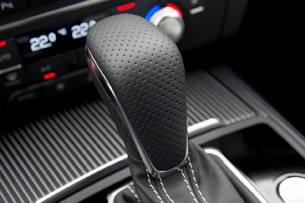 The whole process is accompanied with smooth shifts from the S-Tronic gearbox – thankfully, last year's CVT and its resultant annoying engine drone are gone. 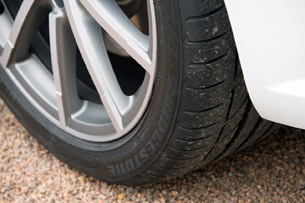 Audi has introduced innovative fiberglass coil springs on the A6, which save weight and are more durable (they cannot corrode), but they are initially only going be offered on the Avant while the automaker ramps up production. In the meantime, sedan owners will have to make do with traditional steel springs as part of a MacPherson front strut and multi-link rear suspension setup. 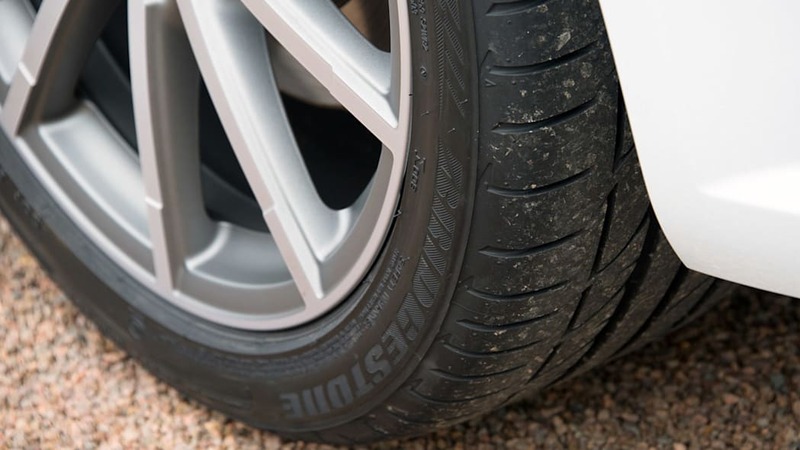 Wheels will be available in 18- to 20-inch diameters, with our test car boasting 19-inch stock wearing Bridgestone Potenza S001 high-performance summer rubber. Even from these elevated velocities, under hard deceleration, the brakes perform very well. At autobahn velocities approaching double the national limit on US highways, the A6 is absolutely stable. 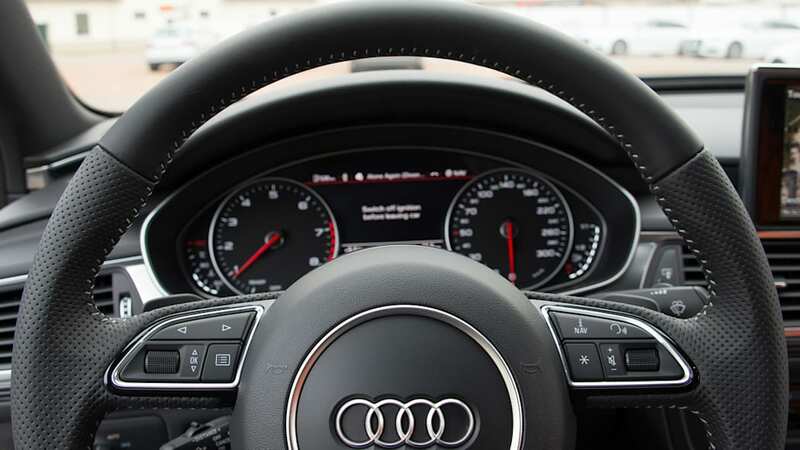 Even at such speeds, gentle curves only require a small nudge of the three-spoke steering wheel to keep the electromechanical power steering system on track. At this speed, wind noise overpowers any engine noise, yet the sedan still pulls (our equivalent US model will be limited to a comparatively paltry 130 mph). Even from these elevated velocities, under hard deceleration, the brakes perform very well. 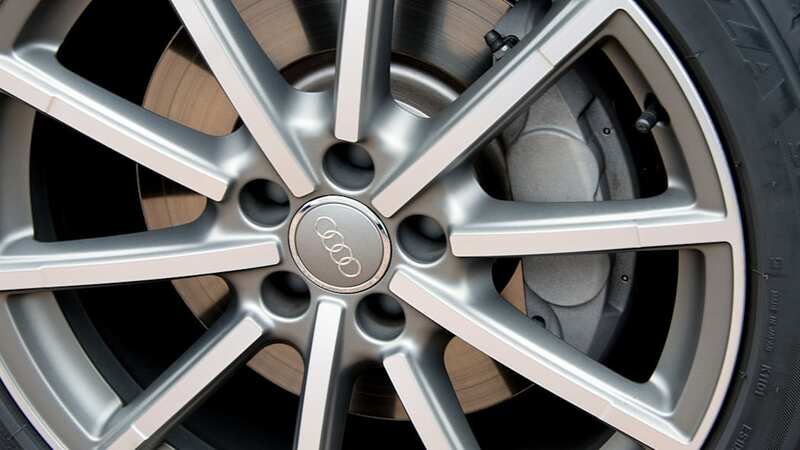 We imagine a single panic stop from triple digits will have owners mentally thanking Audi for fitting four-piston aluminum brake calipers up front (there are single-piston units in the rear). Braking is drama-free and stable – we have driven track-only racecars that aren't as competent from such speeds. 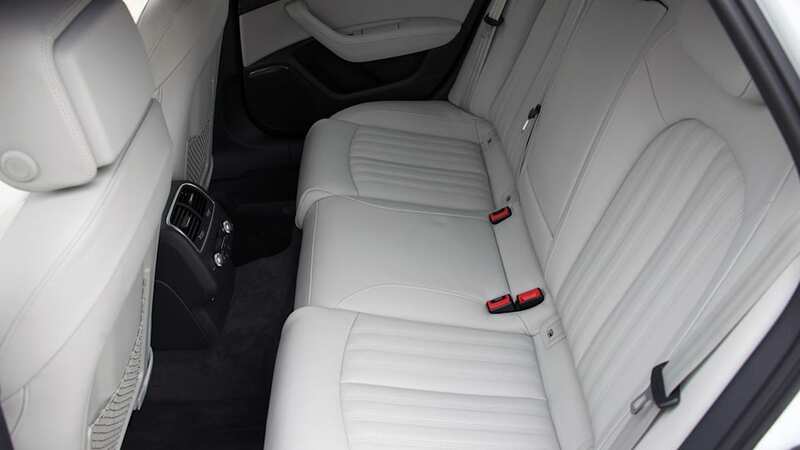 These days, powerful brakes aren't enough to make luxury buyers feel properly safe, and to that end, there is an array of optional electronic nannies and helpers, including adaptive cruise control with stop and go function, blind-spot and lane-keep assists. 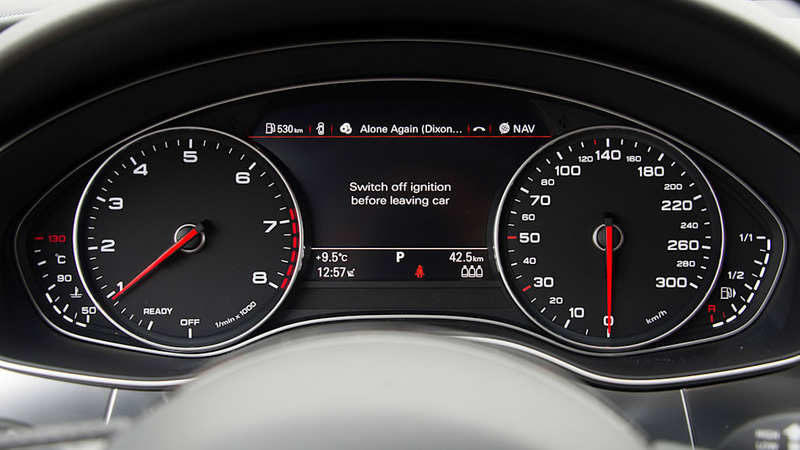 Night Vision Assistant, which gives the driver an enhanced infrared (heat signature) picture of the road ahead returns, and has been upgraded with even more features, and there's even an available head-up display. 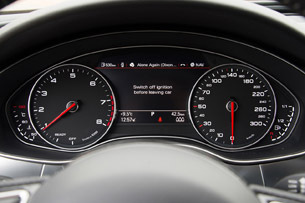 Audi's basic Pre-Sense system, which does things like activate the hazard lights and close the windows and roof if an impending accident is sensed – is standard on all 2016 A6 models. Audi's A6 surrounds its occupants with innovation and technology while coddling them within an exquisitely crafted cabin. Back at the hotel, we digest our day's drive and attempt to evaluate where the revised sedan sits among its peers. 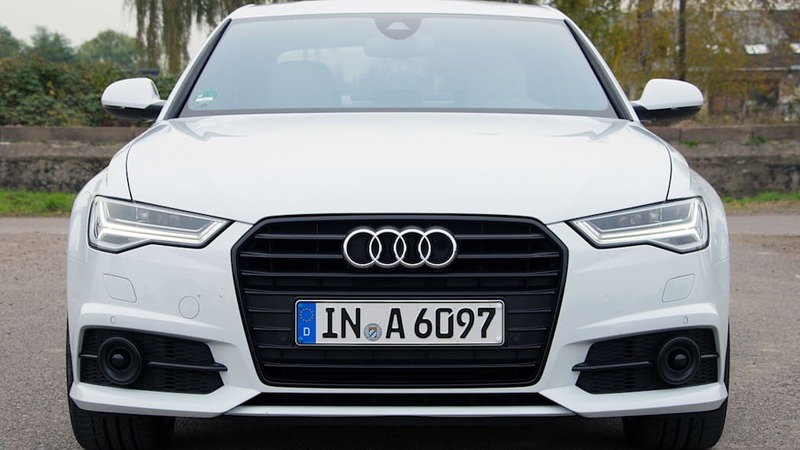 The Audi A6 competes primarily against the BMW 5 Series and the Mercedes-Benz E-Class, but it also does battle with the Acura RLX, Cadillac CTS, Infiniti Q70 and Lexus GS. There is a lot of goodness in this category, and a lot of variety. 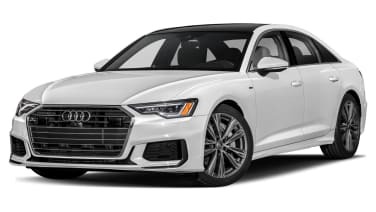 The Audi's weakness, from an enthusiast's perspective, is that the A6 is not a true sports sedan like its rear-wheel-drive counterparts – despite its above-average front-wheel-drive dynamics. 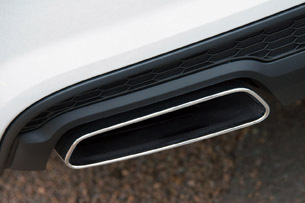 The automaker's optional rear-biased Quattro all-wheel-drive system levels some of that playing field, but even then, this is not a mission-focused athlete. 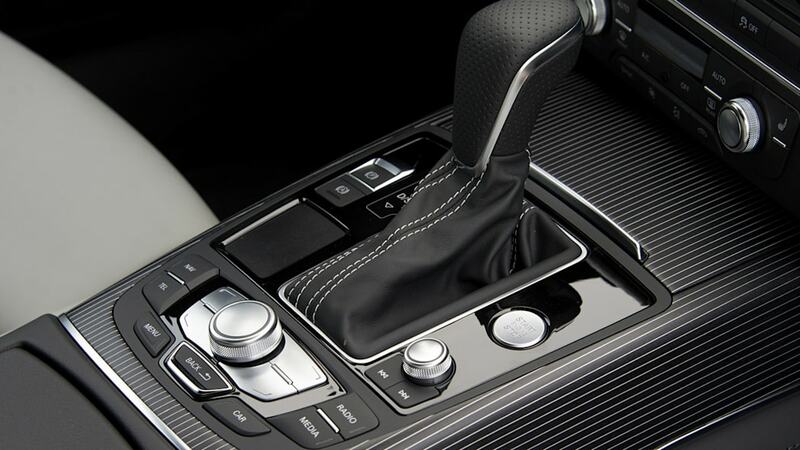 Where the Audi excels is in its ability to surround its occupants with innovation and technology, while simultaneously coddling them within an exquisitely crafted cabin. While many automakers isolate the driver, the A6 still provides engaging and enjoyable German driving dynamics without any serious compromises. 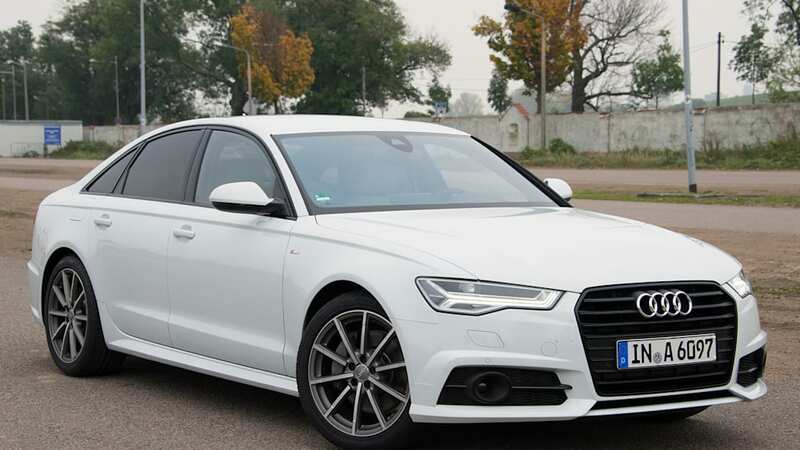 And even though we would never make the A6 2.0 TFSI our first choice for a sprint around a race circuit, it would be near the top of our list for a pleasant high-speed tour through a country – especially Deutschland.